During the fourth quarter the Russell 2000 ETF (IWM) lagged the larger S&P 500 ETF (SPY) by nearly 7 percentage points as investors worried over the possible ramifications of rising interest rates. The hedge funds and institutional investors we track typically invest more in smaller-cap stocks than an average investor (i.e. only 298 S&P 500 constituents were among the 500 most popular stocks among hedge funds), and we have seen data that shows those funds paring back their overall exposure. Those funds cutting positions in small-caps is one reason why volatility has increased. In the following paragraphs, we take a closer look at what hedge funds and prominent investors think of WellCare Health Plans, Inc. (NYSE:WCG) and see how the stock is affected by the recent hedge fund activity. WellCare Health Plans, Inc. (NYSE:WCG) investors should pay attention to an increase in enthusiasm from smart money of late. WCG was in 39 hedge funds’ portfolios at the end of December. There were 35 hedge funds in our database with WCG holdings at the end of the previous quarter. Overall hedge fund sentiment towards WCG is at an all time high. This is usually a very bullish signal. For example hedge fund sentiment in Xilinx Inc. (XLNX) was also at its all time high at the beginning of this year and the stock returned more than 46% in 2.5 months. We observed a similar performance from Progressive Corporation (PGR) which returned 27% and MSCI which returned 29%. Both stocks outperformed the S&P 500 Index by 14 and 16 percentage points respectively. Hedge fund sentiment towards IQVIA Holdings Inc. (IQV), Brookfield Asset Management Inc. (BAM), Atlassian Corporation Plc (TEAM), RCL, MTB and CRH hit all time highs at the end of December, and all of these stocks returned more than 20% in the first 2.5 months of this year. We’re going to analyze the key hedge fund action regarding WellCare Health Plans, Inc. (NYSE:WCG). What does the smart money think about WellCare Health Plans, Inc. (NYSE:WCG)? At Q4’s end, a total of 39 of the hedge funds tracked by Insider Monkey were bullish on this stock, a change of 11% from the previous quarter. 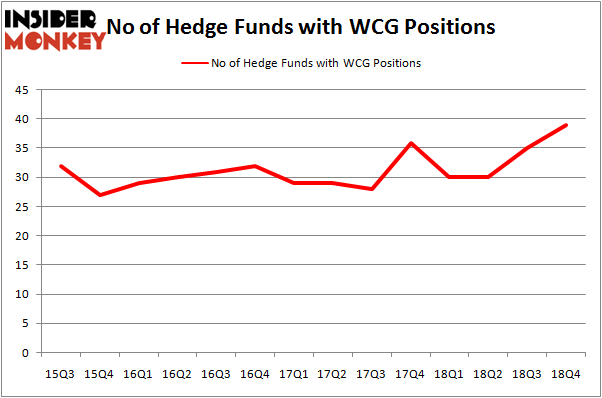 On the other hand, there were a total of 30 hedge funds with a bullish position in WCG a year ago. So, let’s see which hedge funds were among the top holders of the stock and which hedge funds were making big moves. The largest stake in WellCare Health Plans, Inc. (NYSE:WCG) was held by Viking Global, which reported holding $132.3 million worth of stock at the end of September. It was followed by Point72 Asset Management with a $131.9 million position. Other investors bullish on the company included Citadel Investment Group, Rock Springs Capital Management, and Millennium Management. Consequently, some big names have been driving this bullishness. Viking Global, managed by Andreas Halvorsen, assembled the most outsized position in WellCare Health Plans, Inc. (NYSE:WCG). Viking Global had $132.3 million invested in the company at the end of the quarter. Steve Cohen’s Point72 Asset Management also made a $131.9 million investment in the stock during the quarter. The following funds were also among the new WCG investors: Sander Gerber’s Hudson Bay Capital Management, Amy Mulderry’s Tavio Capital, and Brandon Haley’s Holocene Advisors. 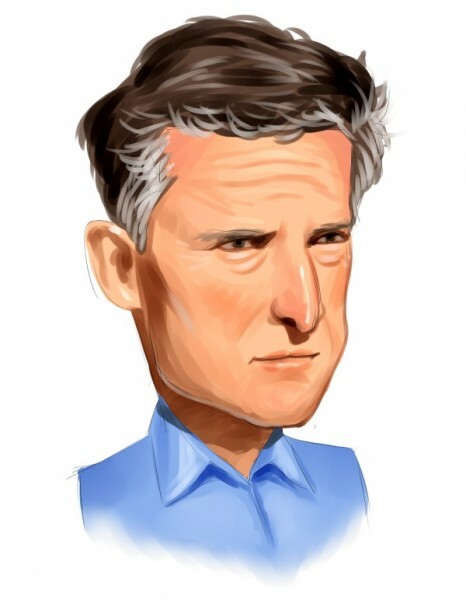 Let’s go over hedge fund activity in other stocks – not necessarily in the same industry as WellCare Health Plans, Inc. (NYSE:WCG) but similarly valued. We will take a look at Vornado Realty Trust (NYSE:VNO), Expeditors International of Washington, Inc. (NASDAQ:EXPD), Take-Two Interactive Software, Inc. (NASDAQ:TTWO), and Telecom Italia S.p.A. (NYSE:TI). This group of stocks’ market caps are closest to WCG’s market cap. As you can see these stocks had an average of 27 hedge funds with bullish positions and the average amount invested in these stocks was $668 million. That figure was $956 million in WCG’s case. Take-Two Interactive Software, Inc. (NASDAQ:TTWO) is the most popular stock in this table. On the other hand Telecom Italia S.p.A. (NYSE:TI) is the least popular one with only 3 bullish hedge fund positions. WellCare Health Plans, Inc. (NYSE:WCG) is not the most popular stock in this group but hedge fund interest is still above average. This is a slightly positive signal but we’d rather spend our time researching stocks that hedge funds are piling on. Our calculations showed that top 15 most popular stocks among hedge funds returned 19.7% through March 15th and outperformed the S&P 500 ETF (SPY) by 6.6 percentage points. Unfortunately WCG wasn’t in this group. Hedge funds that bet on WCG were disappointed as the stock returned 1.7% and underperformed the market. If you are interested in investing in large cap stocks, you should check out the top 15 hedge fund stocks as 13 of these outperformed the market.